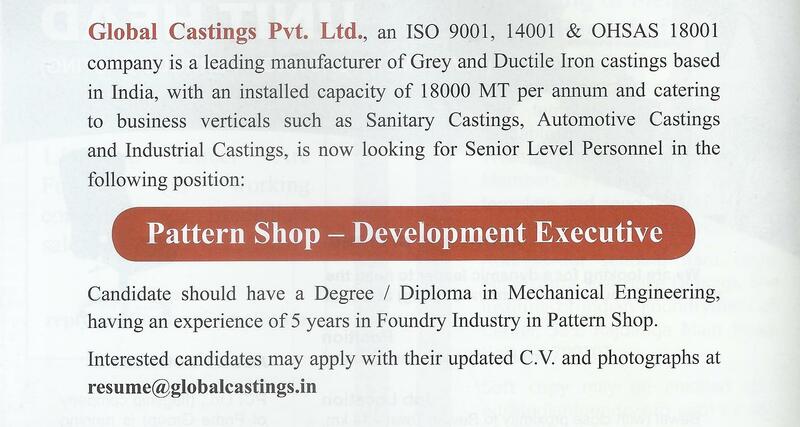 Click here for opening of Pattern Shop-Development Executive with Global Castings Pvt. 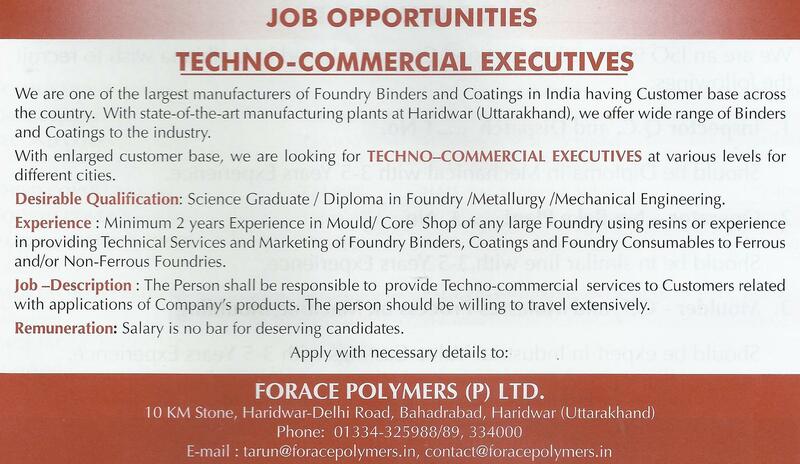 Ltd.
Click here for opening of Techno Commercial Executives with Forace Polymers (P) Ltd.
Click here for opening with Swastik Castings & Super Iron Foundry Pvt. 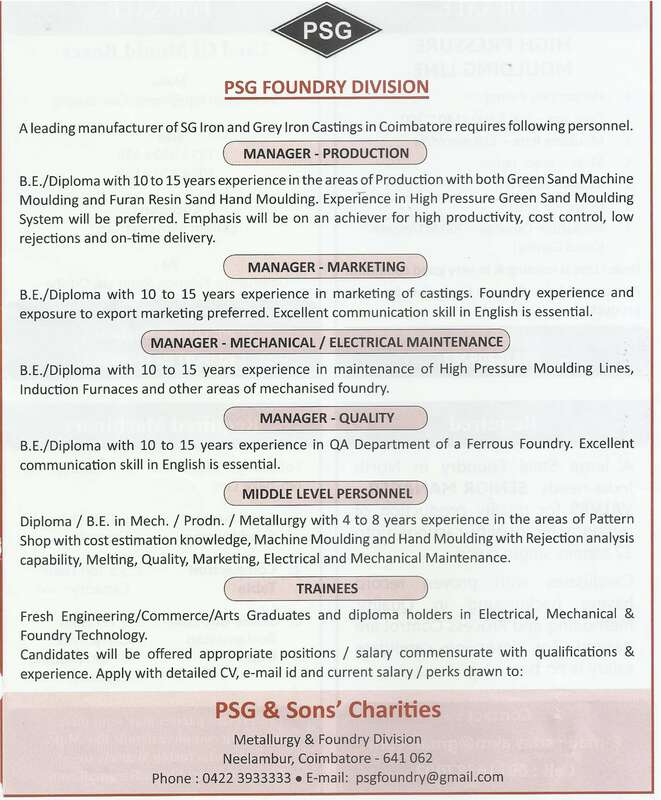 Ltd.
Click here for opening with Global Castings Pvt. Ltd. / Swastik Castings Pvt. Ltd.
Click here for opening with S.B. Resshellers Pvt. 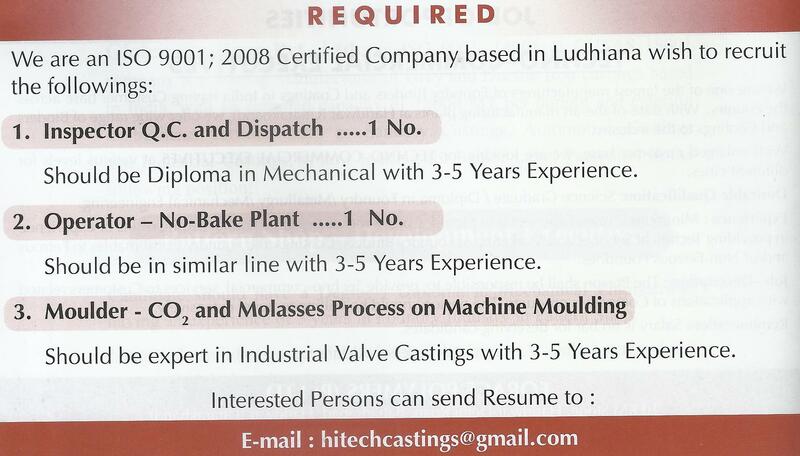 Ltd.
Click here for opening with Ralpur Rotocast Limited. 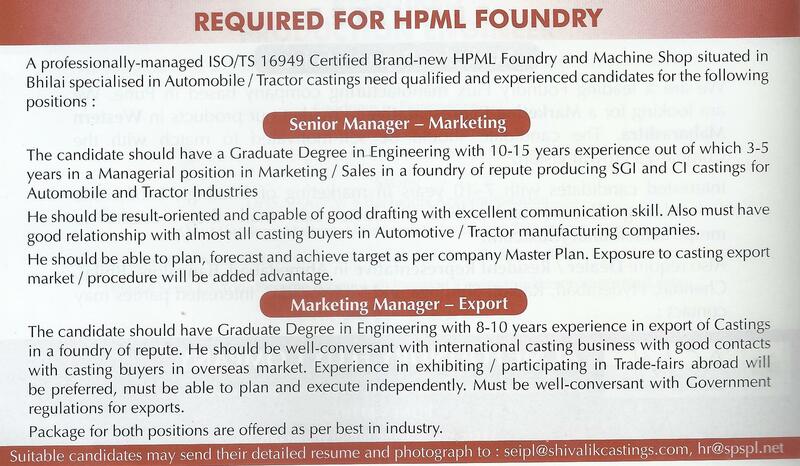 Click here for opening with Hi-Mac Castings Pvt. Ltd., Gujarat. 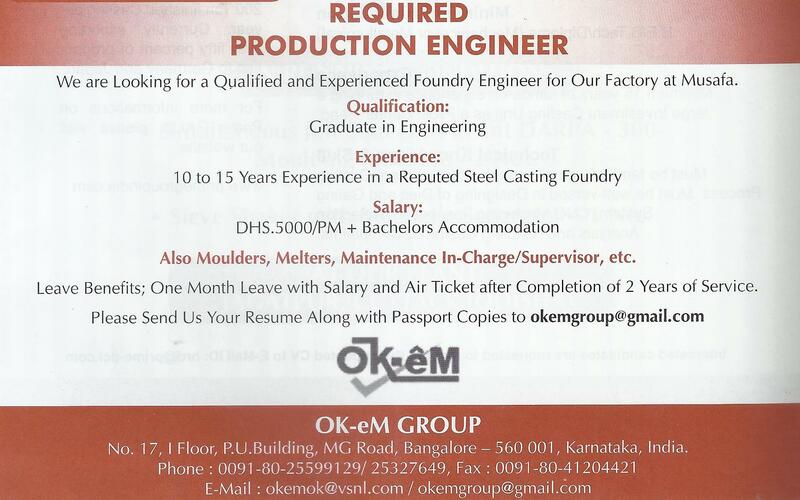 Click here for opening with TOYO METALLURGICALS LTD, Mumbai. Click here for opening with well reputed Foundry in Central India. 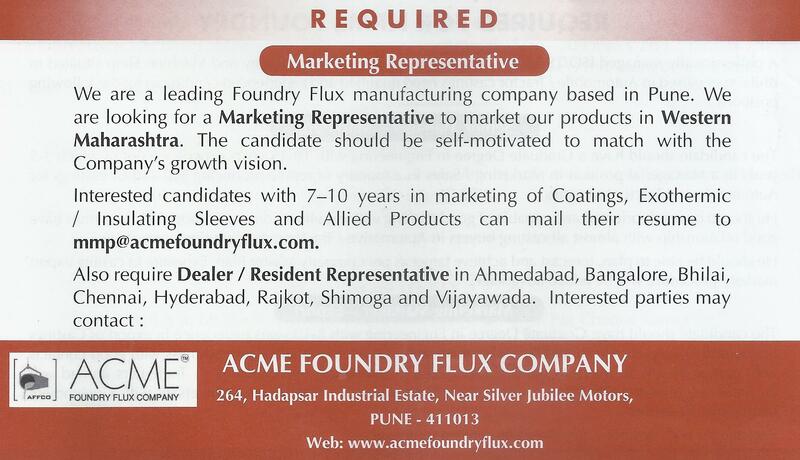 Click here for opening with 3D Foundry Tech Pvt. Ltd, Mumbai. Click here for opening with knowledge in Induction Furnace & Moulding.